Following a ten-month renovation, the North Course reopened for play in October, 2016. 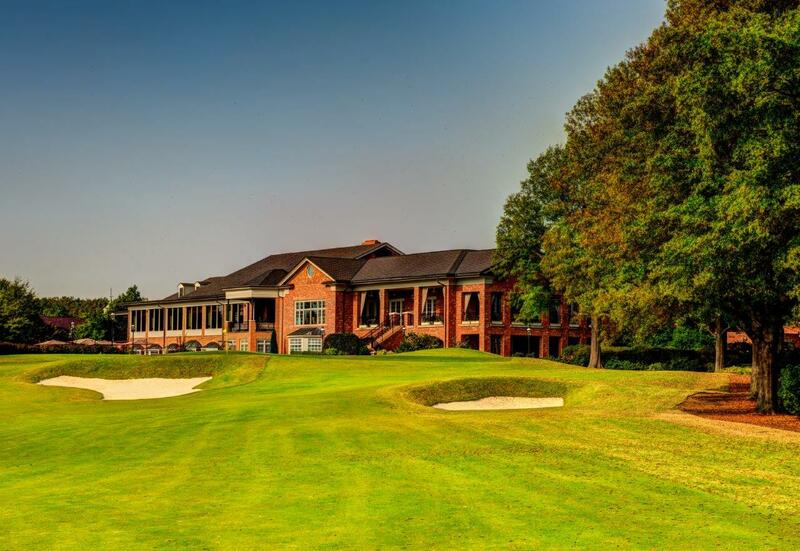 The open, expanded layout was designed by golf course architect John Fought and offers new routing, improved sightlines and a more traditional feel. The first hole has many of the classic playing elements found throughout the new North Course. 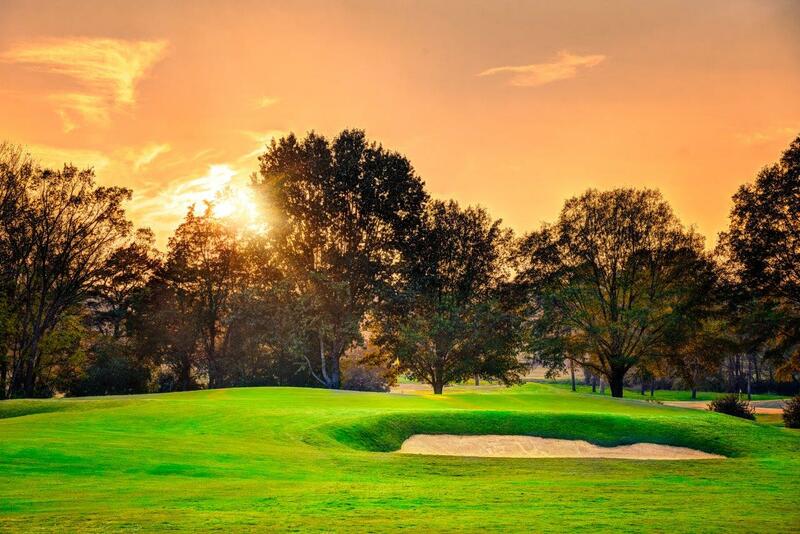 Larger, better-positioned, elevated tees accommodate Carmel’s diverse golfing membership. 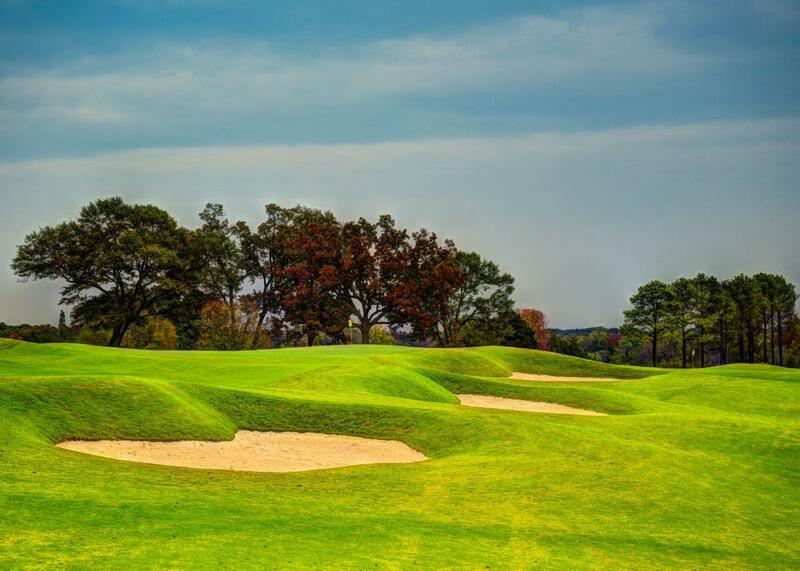 Fairway bunkering on #1, placed to both guide play and tempt the bold player, introduces the classic grass bunker faces found throughout the course. The new green is slightly elevated, with simple, interesting movements built to promote corner hole placements that provide a wide variety to the approach shot. This new opening hole offers width and scale while rewarding precise shot-making. The par five second presents a keen challenge with strategically placed bunkering and plenty of obstacles to make this hole interesting. Lengthened by approximately 30 yards, golfers familiar with the old #2 will find a much wider fairway and repositioned cart path (right). The green is quite large, and putting can be fiendish if a player’s approach is positioned incorrectly. 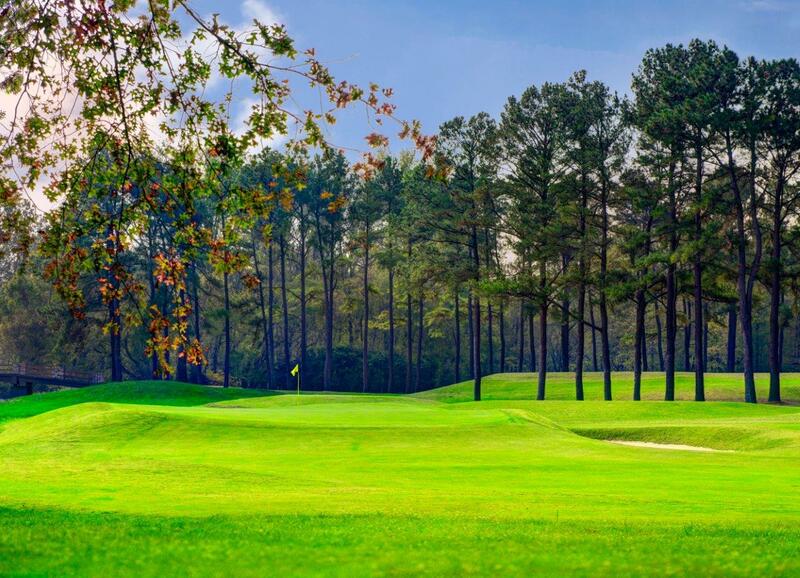 Bermuda grass “from tee to green”, the new North Course features 419 Bermuda tees, fairways, and rough, and offers golfers the superior putting experience provided by Champion Dwarf Bermuda greens. While the third hole remains a par three, the green and tees were reconstructed in new locations, making this hole play much differently. It is now significantly longer, and the bunkering has been angled across the line of play. The green was moved to a position on top of a gentle hill. Contours on the new putting surface create supremely challenging hole locations which require precise shot-making. 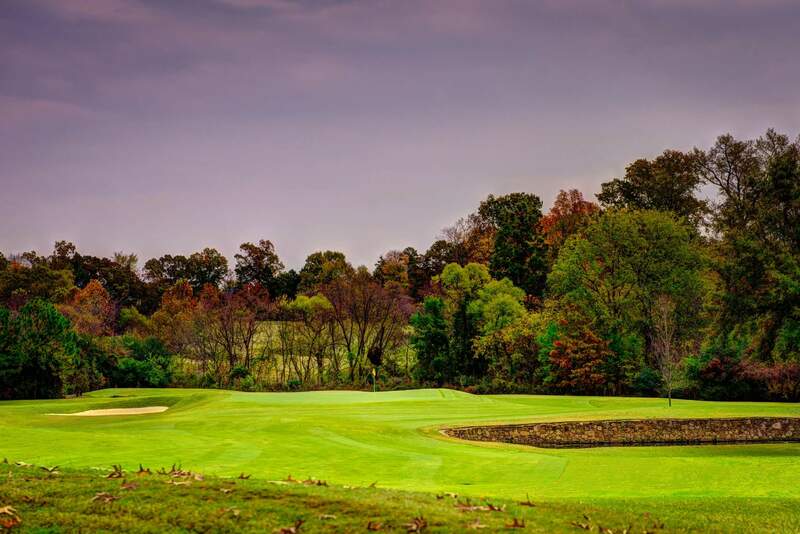 Course architect John Fought believes he accomplished his goal of giving the course a much more traditional look and feel while also providing great variety for the members with five par three holes and four par five holes. As the longest par five on the course, the fourth hole has been made more spacious in the tee shot landing zone. The new fairway has a wonderful view of the second shot landing area, while bunkers added right and left create a new playing strategy. The green was moved back and to the left making this hole well over 600 yards from the back tee. The putting surface is elevated and surrounded by a deep foreboding bunker on the left. The area around and behind the new green has been mowed tightly to create wonderful short game options. This hole, with its new playing elements, is one of the most dramatic on the new North Course. Now the longest par three on the North Course, #5 offers a new back tee constructed behind the drainage swale that bisects the teeing area. The repositioned green allows all players unobstructed opportunities to bounce their approach, while two greenside bunkers have been positioned on both sides of the green to penalize errant shots. This hole has been made much more beautiful with the new green and enhancements made to the water feature. 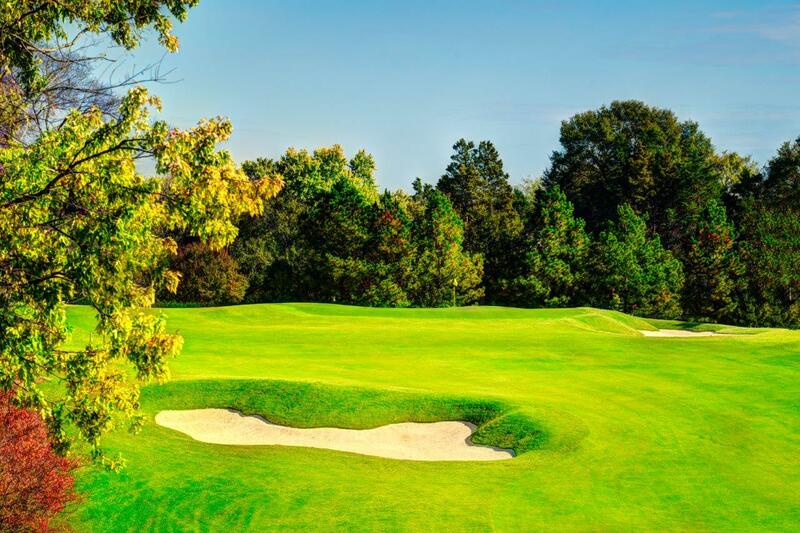 With seven evenly designed tee boxes, the par 71 North Course now plays anywhere from 4,118 to 6,807 yards, reaching all groups of players among Carmel’s diverse golfing membership. As one of the shortest par fours on the new golf course, the sixth hole has a much improved playing strategy. The old left bunker was replaced with two bunkers left and right. These bunkers narrow the tee shot for those who wish to hit a long drive. 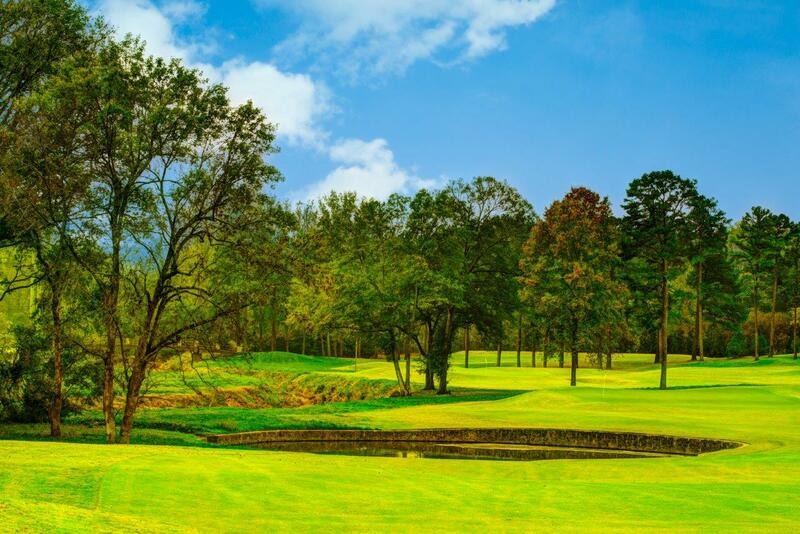 However, with more tee locations, all players have the opportunity to reach the crest of the hill in the tee shot landing zone, thus providing a wonderful view of the green. While this hole is relatively short, it has many new improved obstacles that make it very exciting for players of all ability levels. While the new seventh hole did not change in location, significant improvements were made to the playing strategy of this hole. All of the tees were rebuilt, with a new back tee added to lengthen the hole. The fairway was moved left closer to the creek bank. A new directional bunker was constructed into the slope on the right, providing additional definition to the tee shot. The greens complex has no bunkers adjacent, but a wide tightly-mown collar encompassing three sides makes for multiple options when an approach misses the green. This is one of the most dramatic long par fours on the new course. This jewel of a par three was completely reshaped to include a green moved right and new bunkering, thus providing a spectacular look. Four deep bunkers surround the green and will catch tee shots missed in any direction. The wide, closely-mown area in the left rear of the green complex affords all type of pitch and run shots. During the renovation, modernized infrastructure improvements included extensive sand capping around greens and tee surfaces, providing enhanced drainage and playability. The new green is configured on an angle from left to right, allowing hole locations set well into the contours of the new green. This wonderful new hole challenges golfers and is a fine compliment to the other par threes on the new course. The par five ninth features some of the most dramatic rolling topography on the new North Course. The tee shot is decidedly uphill to a flat plateau that was widened and is devoid of bunkers. Players will need to navigate their second shots through bunkers strategically placed both left and right of the fairway. The new green was lowered slightly and moved to the right, with a putting surface angled from left to right around an ominous front bunker. Expansive, low-mow collars extending well away from the greens are found throughout the new course. On #9 this element was created on the right side of the green, carrying down the slope connecting to the green on #6. 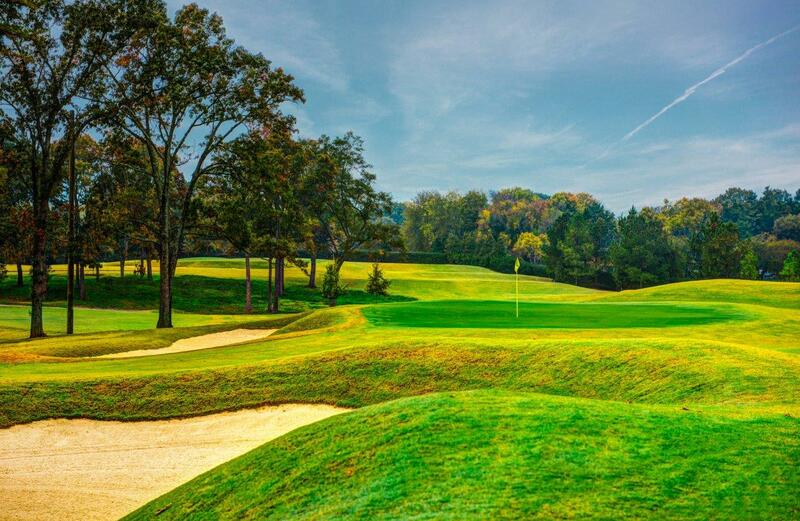 This hole flows beautifully, among the most striking of Piedmont terrain, natural elevation changes, and mature tree cover found on the North Course. With a tee moved to the left of the 9th green, a challenging tee shot carries downhill through a forested ridge and across a deep ravine. This is one of the most dramatically improved views from the tees found on the course. The new landing area was widened significantly, and is protected by three well-positioned bunkers. 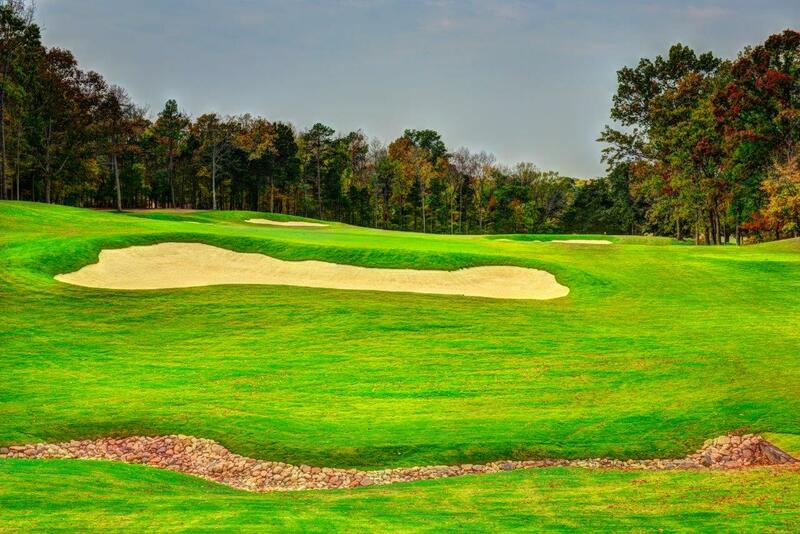 According to John Fought, “We were able to increase the landing zones in the fairways by thirty percent, which now gives the course a more open, bigger feel.” The ninth’s new green was moved left and reshaped to fall slightly away in the back. Two front bunkers keep players from bouncing their approach shots onto the new green. Both aesthetically beautiful and strategically challenging, this hole is a worthy test for all level of play. 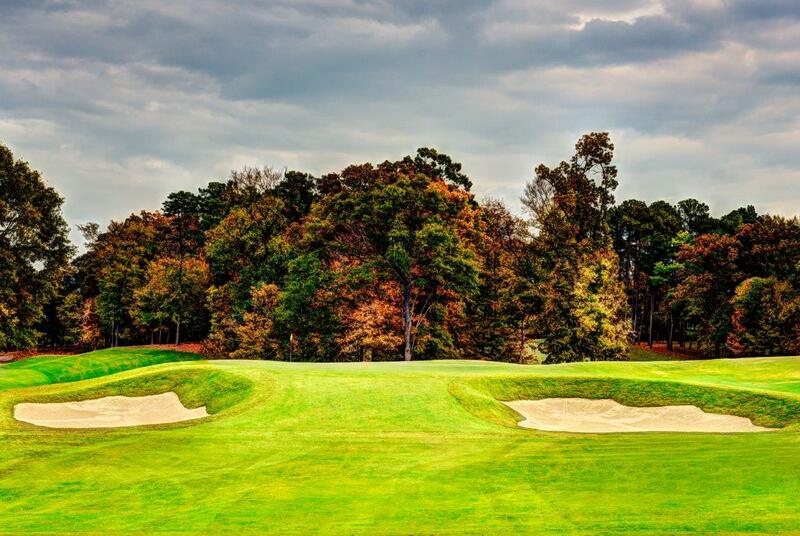 The par five eleventh features a tee shot which demands accuracy to avoid three challenging bunkers. 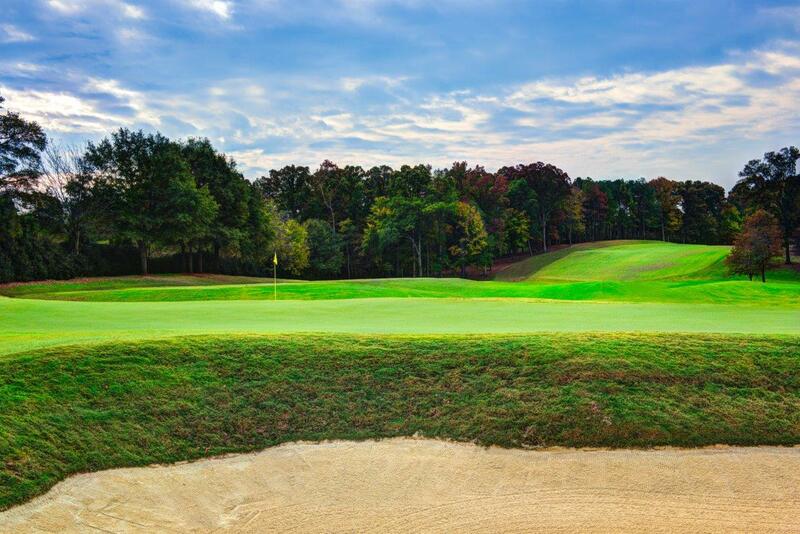 The second shot must be played uphill through a gentled swale to an elevated green. Several bunkers protect the approach, forcing a player to thread their shot to reach a rather narrow green. These strategically placed bunkers reward premium shot making, and the deep classic design challenges the best bunker players. With the changes made to this hole, #11 has become much more challenging and fun to play. 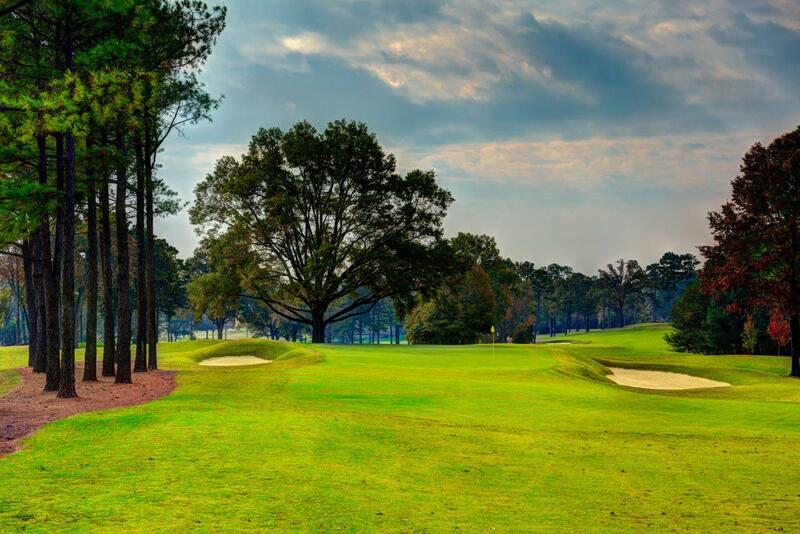 As the longest par four on the course, #12 provides a spacious tee shot landing area. A single directional bunker on the right edge of the fairway makes the ideal line of play for those brave enough to carry across this hazard. After successful negotiation of the first drive, this hole turns right and downhill to a large green with no surrounding bunkers. This unique design is surrounded by a wide tightly-mown collar that provides a challenging pitch for any missed approach shots. 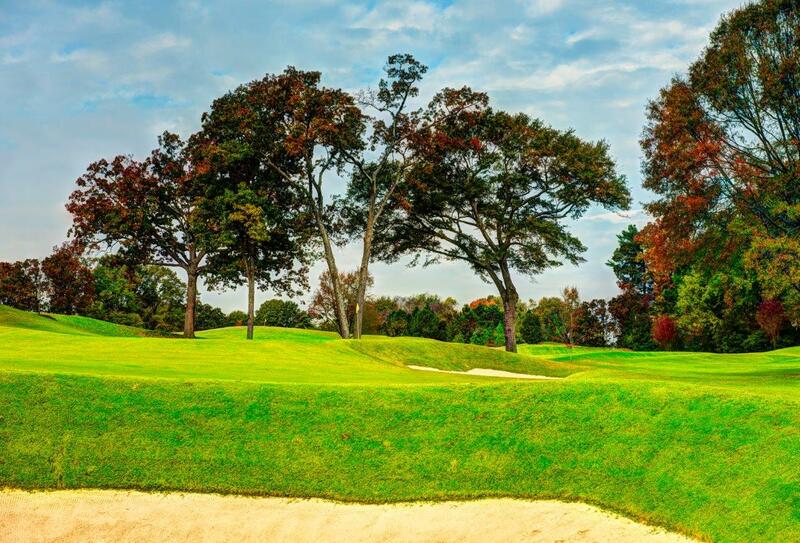 While strategic tree removal assisted with the distinctive new sight lines and vistas on the course, over 250 native trees were added during the renovation, adding strategy, beauty and interest. The North Course is one of only 913 Certified Audubon Cooperative Sanctuary golf courses in the United States, a tribute to Carmel’s environmental stewardship. Players familiar with the ‘old’ North Course recognize this location as the former #5. However the fairway has been widened and the tee shot is played slightly uphill from tees that have been moved forward. 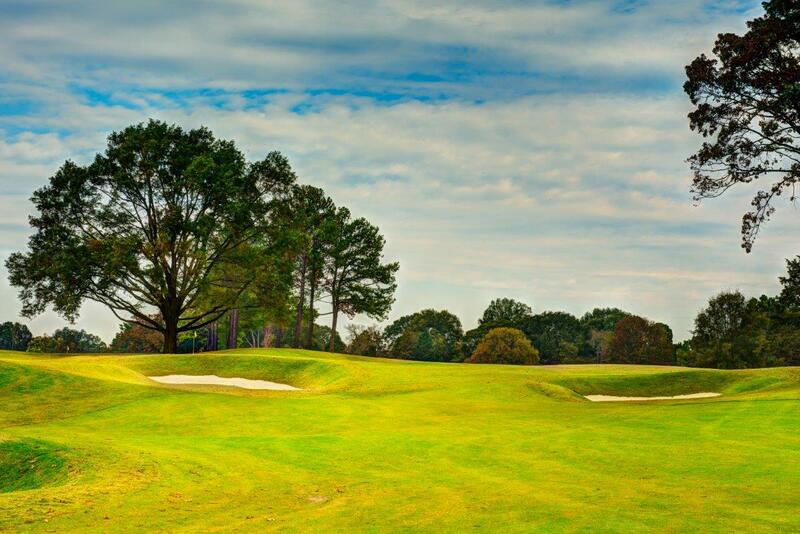 The drive must be played carefully to avoid the two fairway bunkers on the right and trees left. The short approach provides plenty of green on the right, but the greenside bunker on the left must be avoided. 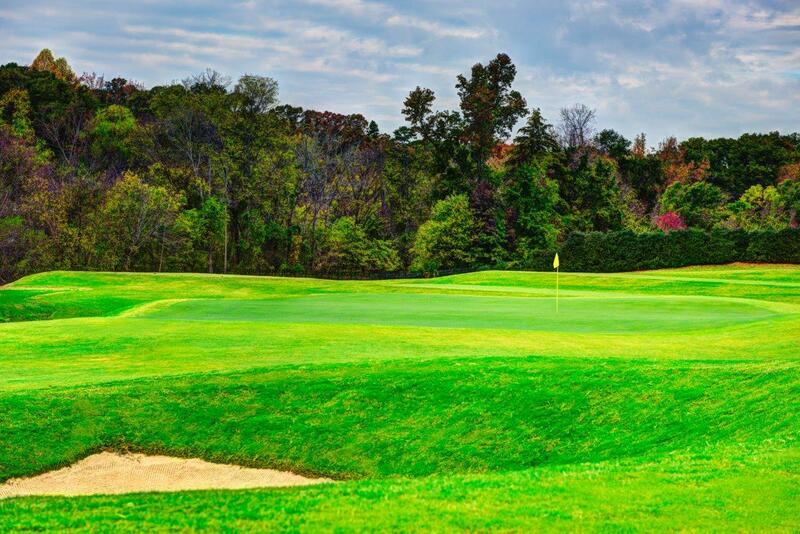 The green, which is surrounded by a wide, tightly-mown collar, has a shallow plateau located in the left half of the putting surface, making the hole locations in the back very challenging. Expanded to include previously unused land, a new green was constructed with an elongated shape on this wonderful par three. Playing slightly downhill from the new tee location, #15 provides a full view of the greens complex. Sandwiched between two bunkers that penalize errant approach shots, the green has a slope from left to right in the back half of the putting surface where it also falls slightly away. 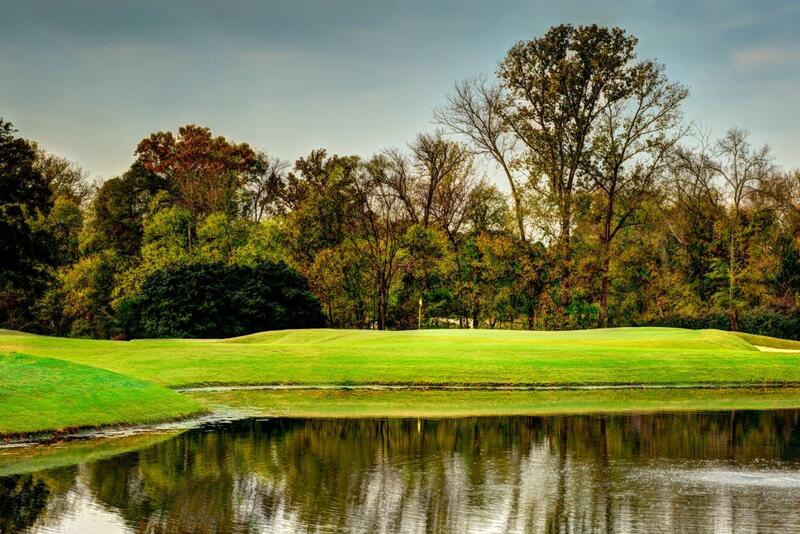 All golfers can expect to have both their accuracy and thought process challenged by the tricky and great-looking #15. This long par four is one of the most beautiful and difficult par fours on the new North Course. Throughout the course forward tees have been strategically positioned, as is the case here where all tees were elevated. The fairway was widened and the left fairway bunker moved back to provide an improved tee shot landing area. With the green location also repositioned, the hole now provides a clear view from the tee shot landing zone and brings McAlpine Creek behind into play. One intimidating bunker flanks the right side of the green, making the approach very demanding. From a strictly aesthetic standpoint, the renovated #17 is one of the most interesting on the North Course. 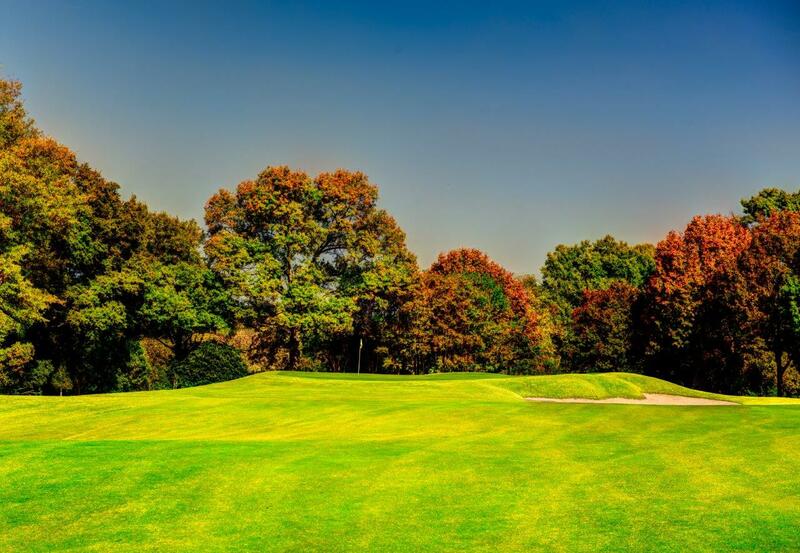 The striking mature oak tree located behind the left side of the green provides a spectacular backdrop and the five tee locations allows this hole to be played from nearly 200 yards to just under 10 yards. The two bunkers were positioned to balance the approach shot and provide definition. The green is long and angles from left to right, creating multiple hole locations that will encourage players to be precise with their tee shot. 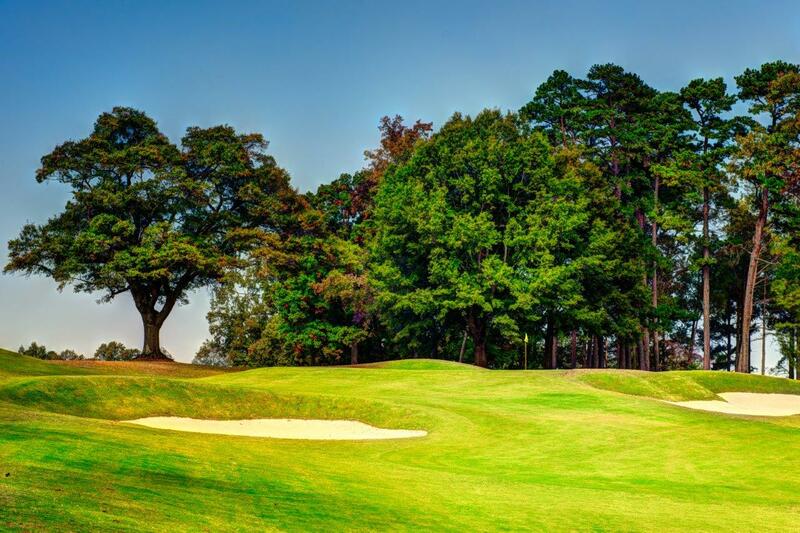 This wonderful uphill par three is quite possibly one of the best in North Carolina.